It came time to show my high school daughter the rich academic culture of Boston, and rather than stay in a cookie cutter hotel, we opted for the charm of the Bertram Inn. 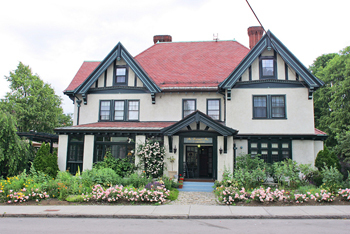 Conveniently located in leafy suburban Brookline, it is a short one block walk to the T and from there all of Boston opens up. We arrived late at the Inn, but they left an envelope with our key and instructions for our room. 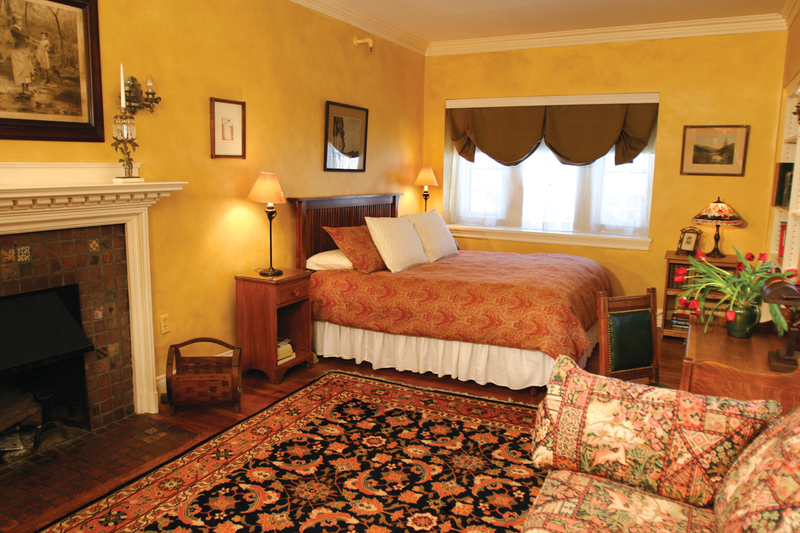 The wooden floors throughout were covered with excellent Persian rugs, and our suite had a wall full of bookshelves. It was all I could do not to poke through the tomes, but it made me feel very at home. The Dux beds were spacious and comfortable, it was easy to overcome our long flight. 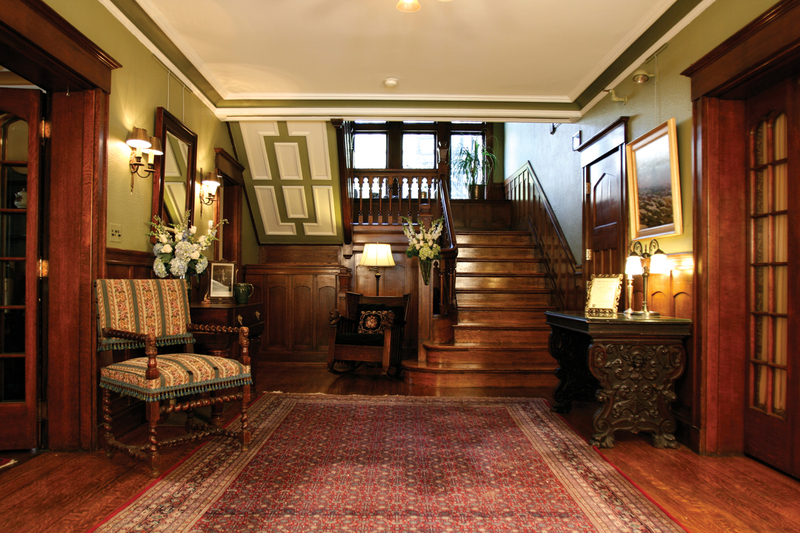 Built in 1907 by a wealthy tobacco merchant, the Inn was given to his daughter as a wedding gift. Our room faced the busier street, but we were barely aware of passing traffic. Our bathroom was sufficiently updated; my shower was robust with plenty of hot water. The huge Turkish bath towel was luxurious. Breakfast the next morning was offered in the sunny dining room, with a complete array of fruits, pastries, cereals, homemade granola, coffee, juice and an egg dish. We spread out on the large wooden table with our selections and a city map to plot our itinerary. Before setting out we had a closer look at the grand sweeping staircase, quarter-sawn oak paneling and leaded windows. We will need to visit again in the spring to enjoy the porch and garden. 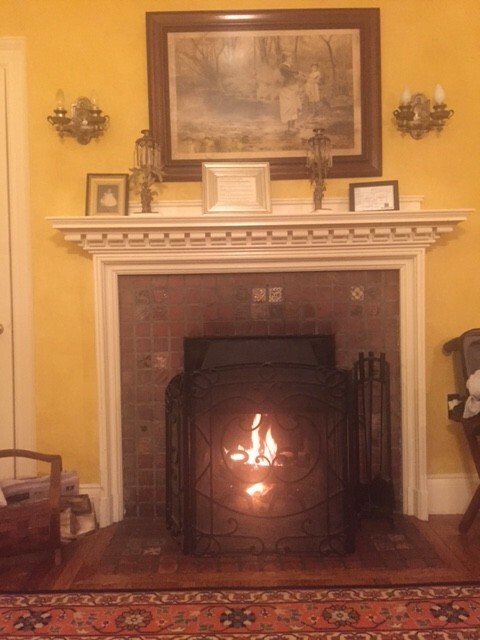 The fireplace in our suite was ablaze after a full day of seeing the vast array of academic offerings in Boston, allowing us to reflect on both the Inn’s distant past and my daughter’s near future.